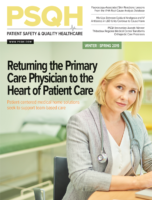 The full article appears in the November issue of Patient Safety Monitor Journal. How patients assess their own pain is a key component to how hospitals are expected to manage pain medications. But what about patients who can’t communicate their level of pain? Use these tips from home health and hospice experts with experience in working with nonverbal patients to educate nurses and other clinicians on assessing pain. It’s fairly common for clinicians to encounter patients who can’t verbally communicate their pain level, explains Teresa Northcutt, senior consultant with Selman-Holman & Associates LLC in Denton, Texas. Nonverbal patients can range from those who have suffered a stroke or had throat surgery to those with cognitive impairment, such as dementia patients. Trying to get people to accurately self-report pain is important. “If I don’t know what your accurate level of pain is, I can’t help to better manage it,” Northcutt says. The key for nonverbal patients is finding the best scale for the patient.